I invite you to join Flag Officers and myself for an informative evening, to welcome all new and existing members to the club, to meet new people, and update your knowledge of all the opportunities offered within the club. Welcome and Introductions by the Commodore. Club Communications including Website, eNews and other IT things you need to know. There will be a buffet supper - £7.50 per head (£5.00 children 12 years and under) and the bar will be open from 6.30. Please arrive a little early to sign in - we want to start at 7pm sharp. Don’t forget, the bar will be open from 6.30pm. 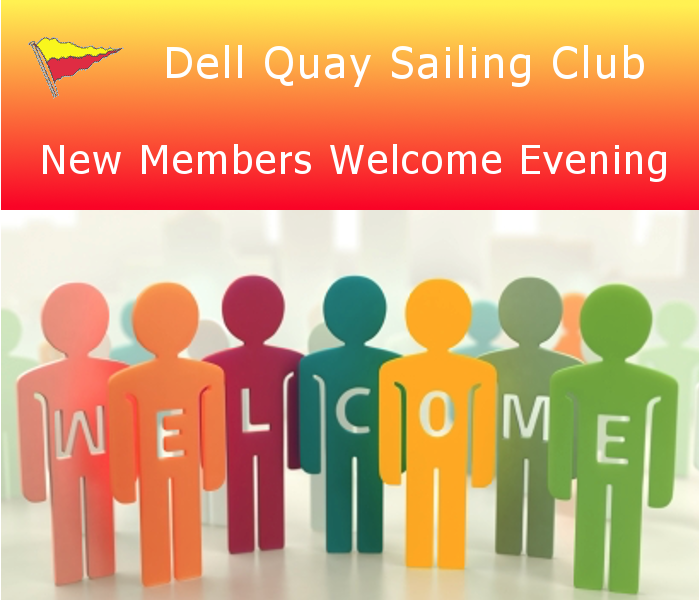 We look forward to welcoming you to Dell Quay Sailing Club.